Now Carrying Compact Loaders, Mud Buggies, and Vibratory Plows Fenton, Mo. 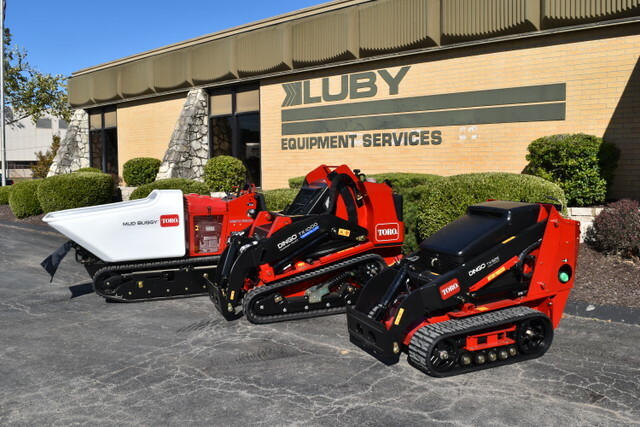 Luby Equipment Services, a St. Louis-based Case Construction Equipment Dealer, has joined The Toro Co.’s growing network of authorized dealers. Their six construction locations will offer sales, service and parts on Toro’s Dingo compact utility loaders, walk behind trenchers, and light construction equipment. In 2012, Toro acquired certain utility and underground product assets of Astec Underground, Inc., which was producing trenchers and plows for Case Construction. “We have experience with the products, so the addition of this line will be a seamless transition for our organization,” said Kedney. Luby Equipment Services operates out of its headquarters in Fenton, Mo., and seven other branch locations. They serve their customers equipment needs with a variety of new, used, and rental equipment. The company represents several manufacturers, including Case Construction, Takeuchi, Doosan, Indeco, Atlas Copco, Wacker Neuson, Oshkosh Airport Products, Eager Beaver and Towmaster trailers. For info on Toro, click this link. All you gotta do is click.